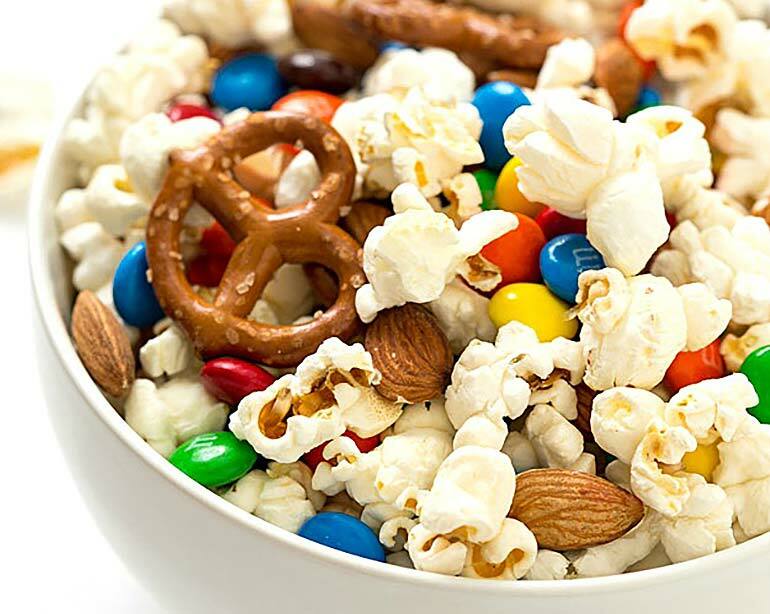 When it comes to a family movie night, I’m all about what movie snacks are on offer while our eyes are peeled to the screen. You too? 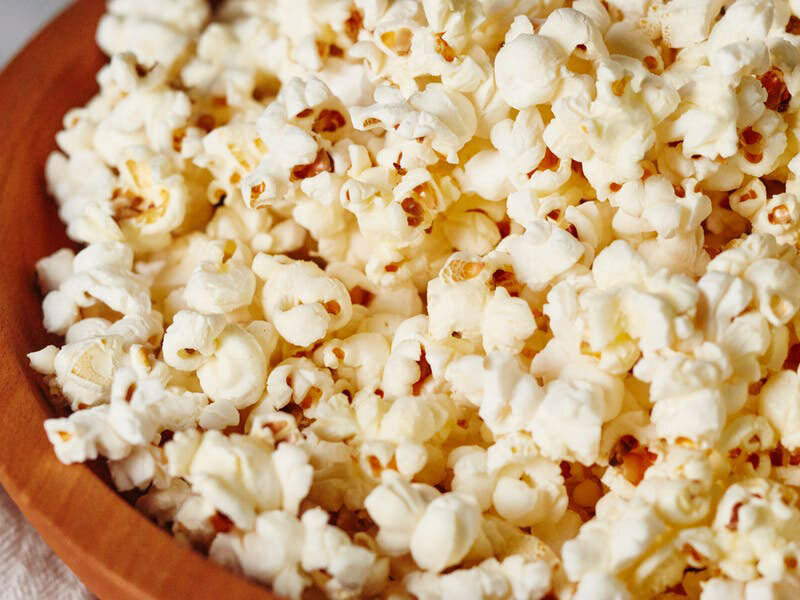 Here’s 10 moreish movie night snack recipes, perfect for couch snacking. From popcorn to fruit kebabs and all the choc top ice creams you can lick, we’ve got your family movie snacks sorted! Yes you can make your own deliciously sticky caramel toffee popcorn at home. It’s not even nearly as hard as you might think it is with Taste‘s sweet recipe. 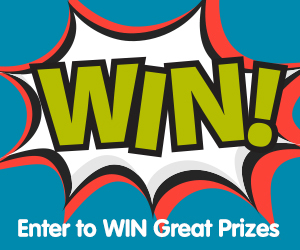 It’s the luck of the draw with every handful from this scrumptious popcorn bowl from Gal On A Mission. 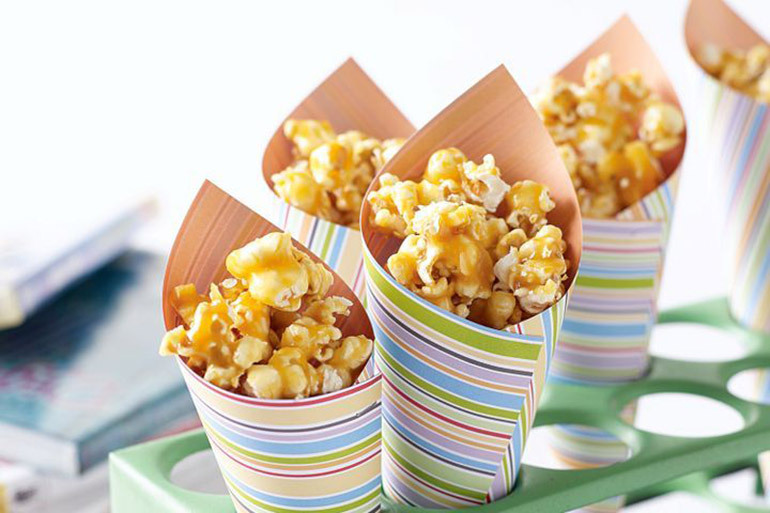 Popcorn peppered with lollies, mini pretzels and nuts are a sure crowd pleaser – and there’s no cooking involved! My favourite popcorn of them all is cinema style buttered popcorn, which I’m reasonably certain is flavoured with completely fake butter. Anyway, you CAN recreate a pretty close flavoured popcorn at home, using real ingredients – like actual butter. Want to know how? Find out at The Kitchn. 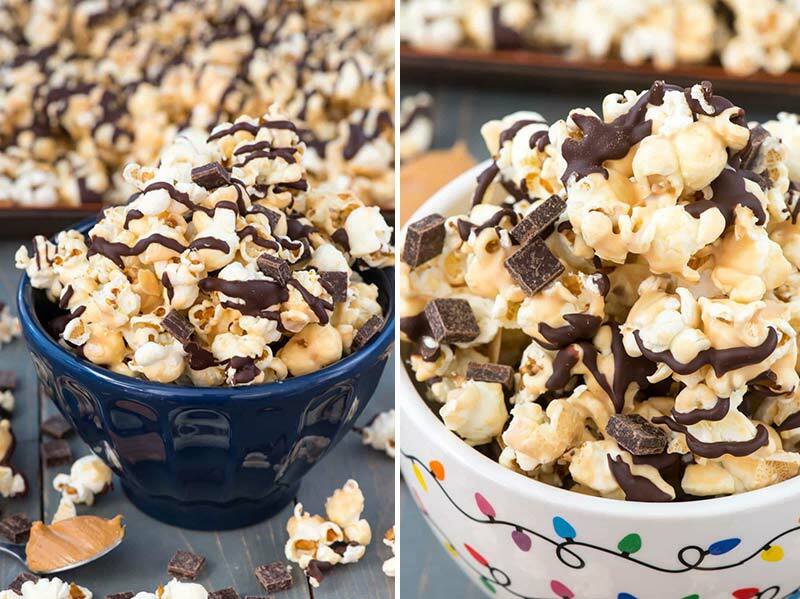 Nope, not finished with the movie snacks popcorn just yet – you’re going to want to strap yourself in tight for this popcorn combo! Crazy For Crust combines creamy peanut butter with salty popcorn, finishing it off by throwing some delicious chocolate at it. Resistance is futile. 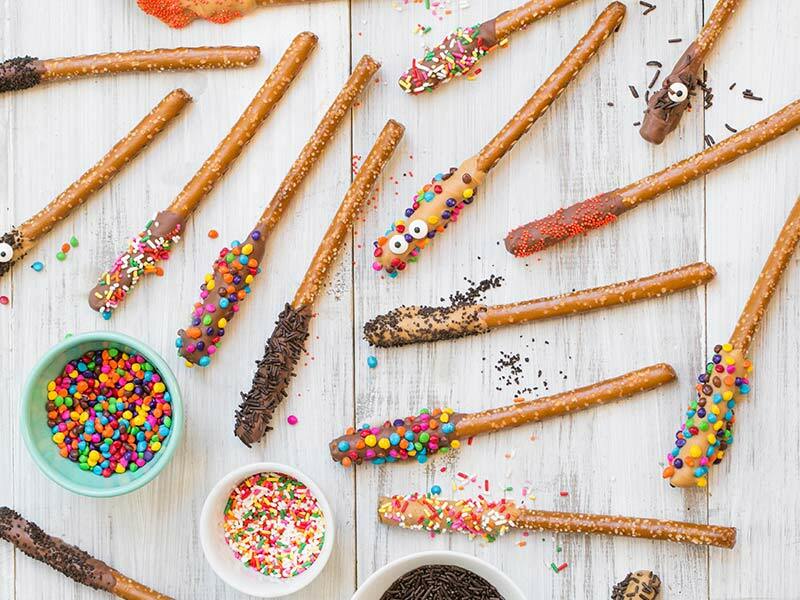 Full points on the cute-meter, these chocolate dipped, sprinkle rolled pretzel sticks will be devoured in next to no time. You’ll find the recipe over at Sugar and Charm. I know, I know, you wouldn’t expect fruit to get much air time in a sea of movie snacks, but it’s all in how you present it. Take your fruit, cut it up and weave it onto a kebab stick for easy (less sticky) eating. 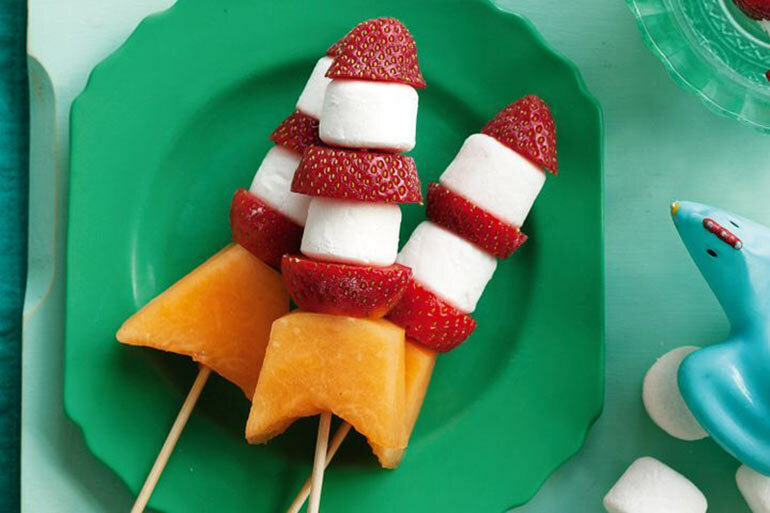 Go the extra mile and thread some delicious jelly snakes or marshmallows on there too, just like these awesome fruit rockets from Taste. To the moon and back! 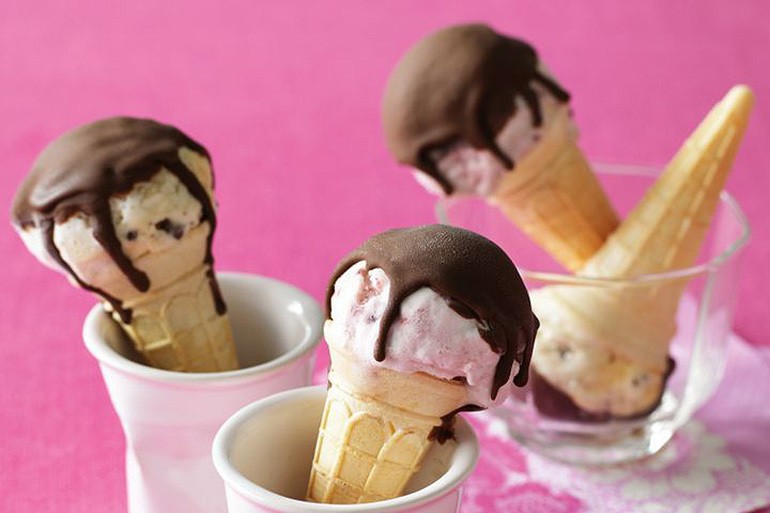 Just like the real deal, only BETTER, take choc top cones to the next level. Prepare scoops of ice cream in advance (place on a plate in the freezer) so all you need to do is pop them in a cone and splash with a dash of chocolate coating when the opening credits roll. Yes please! Corn chips are finger-licking-good delicious, but pre-packaged ones can be full of salt and nasty colourings. 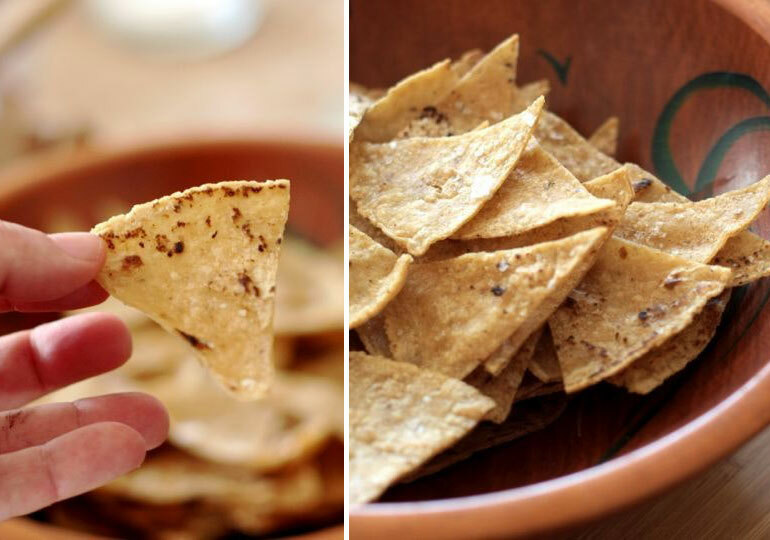 Make your own at home in no time using a pack or two of tortillas and this recipe from Kitchn. For extra crunch and a healthier cooking method, sprinkle tortillas with cheese prior to baking until crunchy. 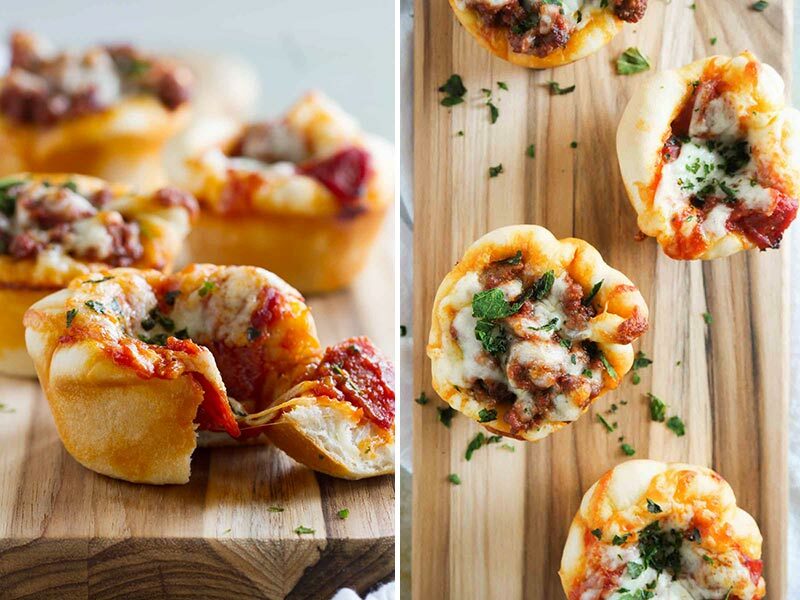 Smells and tastes like pizza, but much more user friendly, pizza cups are perfect for a pizza night. No messy slices or slippery toppings potentially staining the couch, these gems are picked up easily and popped in the mouth with gusto. Yum! Find the recipe at Taste and Tell. 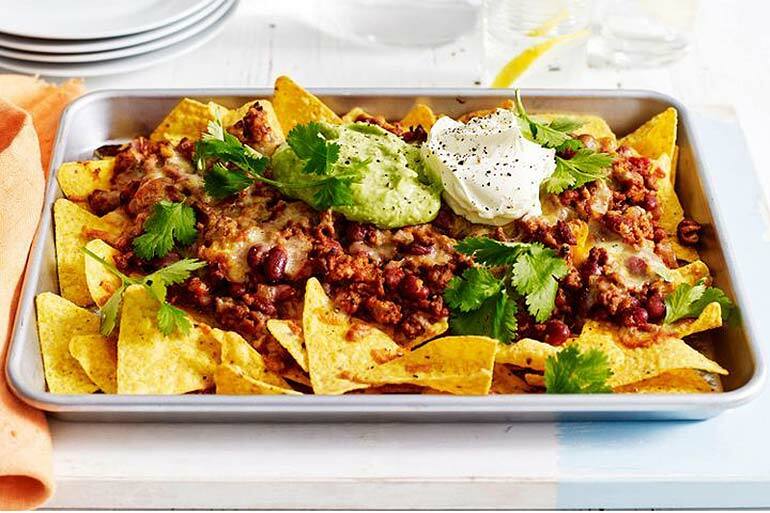 Always a family movie snacks favourite, preparing a whole baking tray loaded with nachos means no one goes hungry during a movie marathon. Taste has all the details on how to create your own nacho tray, easy peasy. Deeeeelicious. 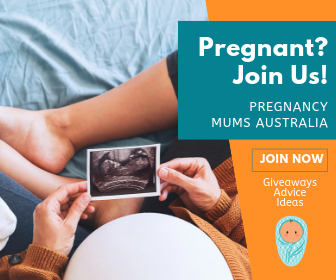 Just make sure to give all the kids – and messy partners – a tea towel for their laps! 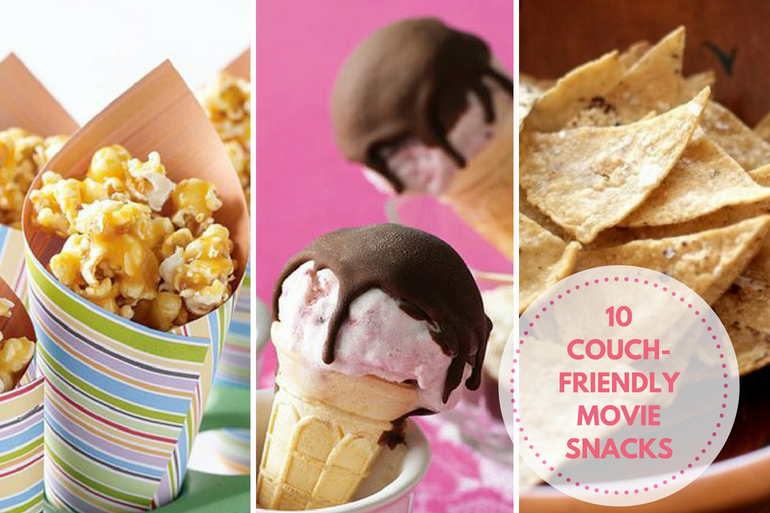 Want some more couch-friendly snacks. Check out these 20 easy ball recipes – including some super yum Tim-Tams balls!